"The parade was an impactful event that also proved that Putin is not isolated. On the contrary, those, who skipped the parade, have found themselves in isolation," the media outlet noted. According to Il Giornale d'Italia, thinking that those, who attended the celebrations, have no political clout would be a tragic mistake. 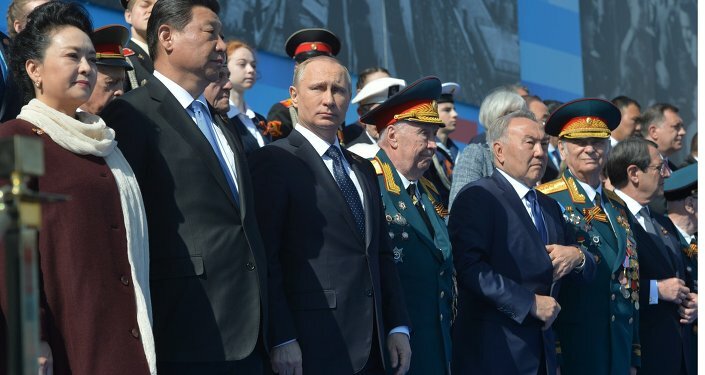 Not all European leaders chose not to attend the parade held in the Red Square. Czech President Milos Zeman and Cypriot President Nicos Anastasiades took part in the celebrations. They and Russia are brought together by common faith but also due to "bitter awareness of the mistakes Europe makes," the media outlet said. As is customary, numerous world leaders received invitations to take part in the celebrations marking the victory over Nazi Germany in World War II. This year, nearly 70 heads of states, governments and international organizations, including the UNESCO, the United Nations, the European Union and the Council of Europe, were invited to attend the annual parade. Heads of nearly 30 countries, including Chinese President Xi Jinping and UN Secretary-General Ban Ki-moon, participated in the celebrations held on May 9, 2015.